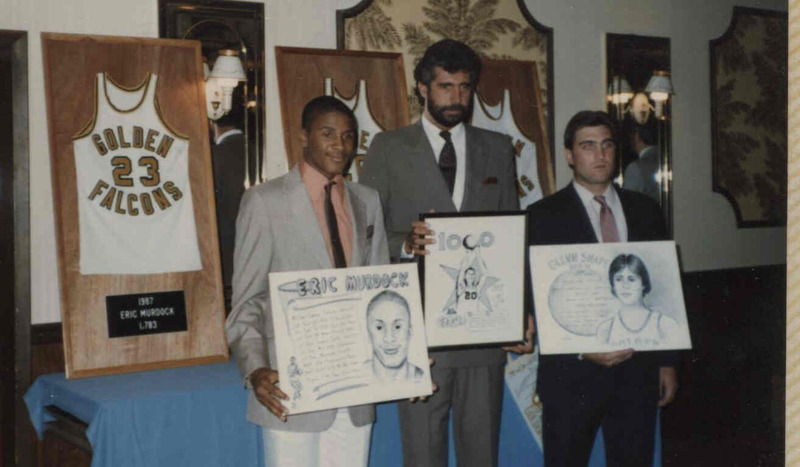 Last month this author had the pleasure of writing an article on the 1987 Bridgewater-Raritan West High School Basketball team who had won the State Championship. 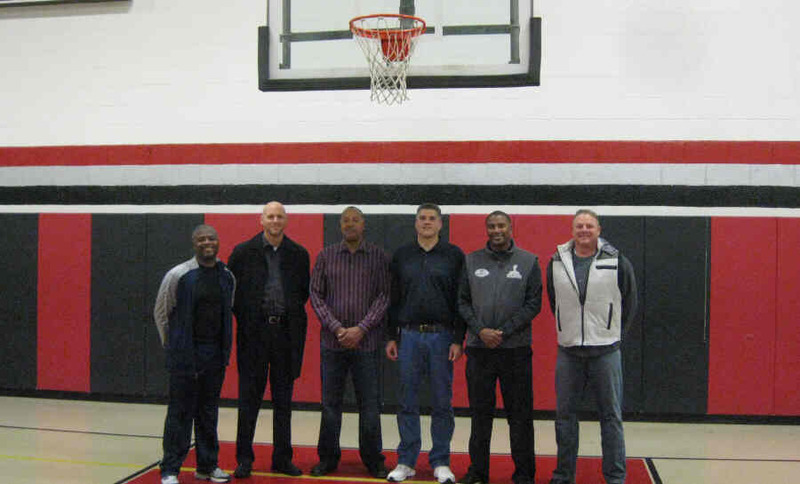 For that article we had seven of the original players return to the gym that they once played in for a photo. The gathering was quite festive as some players had not seen each other in decades. There were many smiles and an exchange of some old stories about those exciting days. That night this author noticed that there was no championship banner in the gym that they once played in. Championship banners hung from the rafters are a standard part of the sports legacy of many high schools. Perhaps the banner that I am looking for is in the newer gym next door. I proceed to take a look in that gym. While I see many banners – some are for specific sports and some are for state champions – I notice that the earliest year listed says 1991. But the high school opened decades before that. Why is there nothing before 1991? After some research I found my answer. History of Bridgewater-Raritan High School Bridgewater-Raritan High School on Garretson Road opened in the fall of 1959. 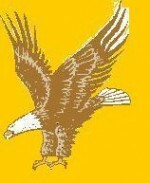 Their sports teams were called The Golden Falcons. 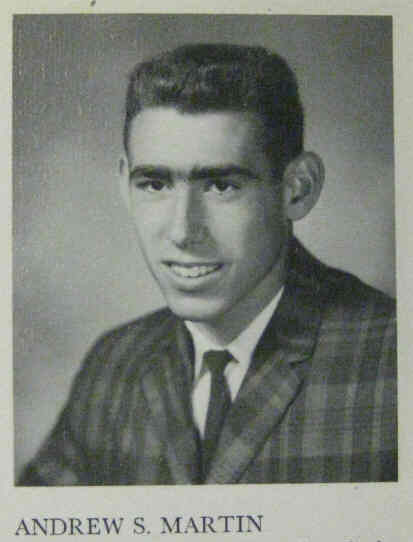 (Before 1959 Bridgewater – Raritan students went to Somerville High School.) That first year (1959-60) the school had only a 7th, 8th, 9th, and 10th grade class. As those students moved up in grade each year no additional 7th and 8th graders were added - thus by the 1961-62 school year the high school was finally a regular high school with a senior class. The one high school quickly became crowded as the population of Bridgewater was booming. (The census numbers show that Bridgewater had 15,000 residents in 1960, but by 1970 there were 30,000.) Thus just a few years after the first high school opened there was a need for a second high school. Another high school was built off Foothill Road. It opened in the fall of 1966. That school was called Bridgewater-Raritan “East”. 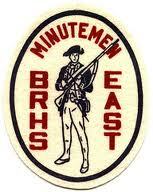 Their sports teams were called as The Minutemen. At that time the original school on Garretson Road was renamed Bridgewater-Raritan “West”. The "East" school when it first opened. East and West became instant rivals in athletic contests. For 25 years there were two high schools. In early 1990 a decision was made that the two high schools should be merged into one. There was debate as to which location should be the one and only high school. At first it was decided that the “East” building off Football Road would be the one, but eventually after some lobbying by local people it was realized that the vast property on Garretson Road made that a much better site. Were rivals for 25 years. The graduating class of June 1991 would be the last of the two separate high schools. Starting the fall of 1991 all students would be combined into one school. At first all the students attend the high school off Foothill Road (previously called East) while the high school complex on Garretson Road (previously called West) was expanded. 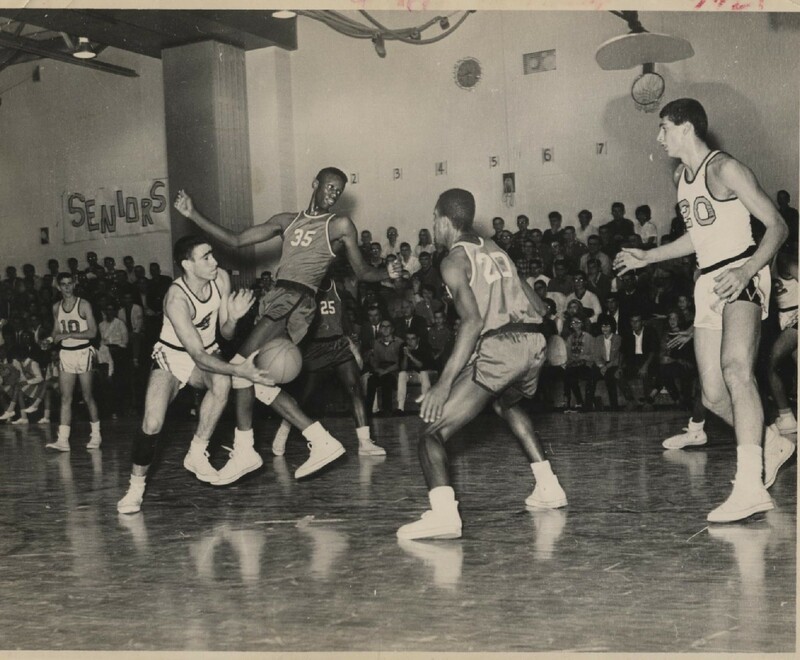 With the merger it was decided that the combined school would not take the nickname of either school, but instead they would be known as The Panthers. Thus the “Panther Era” began in the fall of 1991. 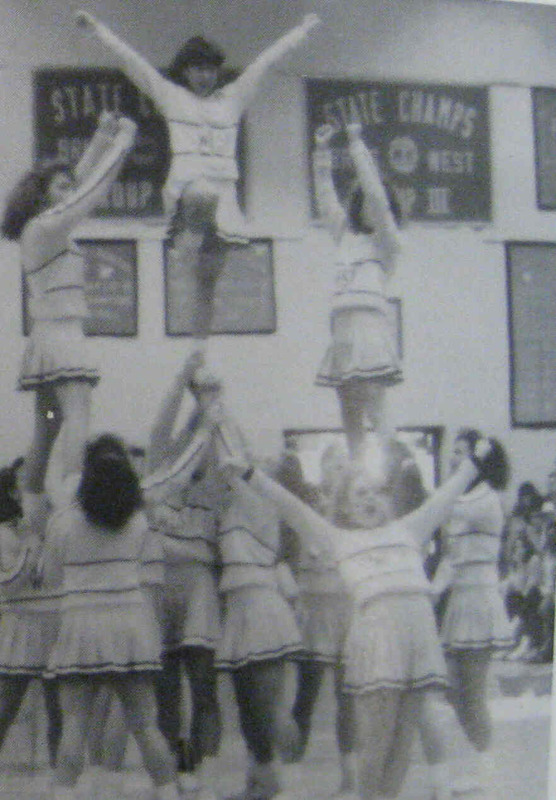 With this consolidation a decision was made that all sports memorabilia from the original West (Golden Falcons) and East (Minutemen) would not be a permanent part of the consolidated school. In the fall of 1995 the consolidated student body, after four school years at the high school off Foothill Road, moved to Garretson Road. (The school building off Foothill Road then became The Middle School.) The newly expanded school would feature more buildings, classrooms, and a new gym. But no banners, trophies, or team photos from before 1991 were there. Thus today - over twenty years later - the situation is still the same. Sports teams from 1959-1990 have no trophies or banners. Thus teams that once brought the high school tremendous honor by winning a State Championship no longer have a banner to ensure that they are remembered. Further some jersey numbers that were once retired (of our past star players) are now worn again. It would be unfair to blame the current school administration for this situation. Bridgewater-Raritan has an excellent school system. Any local real estate agent can tell you why families want to move to Bridgewater-Raritan – it’s the schools. And the athletic department runs a fine program – both on and off the field. They have produced many conference winners and even some state champions. The current administration inherited this decision to only display memorabilia starting with 1991 a long time ago. However this author feels it is time to embrace our history and highlight the teams and players which once brought honor to the towns of Bridgewater and Raritan. It is not just this author who feels this way. Ask any past athletic champion or star player how he feels when he visits his old high school and sees no evidence that he once played there. - In the old (original) gym decorate the walls with banners for the teams from Fall 1959 - June 1991. Have one wall for West and another wall for East. The school colors could be used with a few photos to add some pizazz. 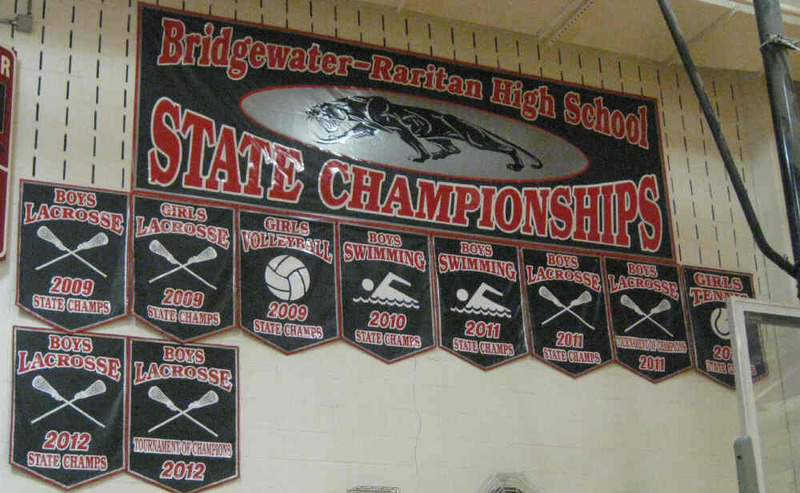 - Start an “Athletic Hall of Fame” for Bridgewater-Raritan High School. For those readers not familiar with a high school Hall-of-Fame - a committee consisting of current & former coaches, athletic directors, ex-players, and other alumni decide on a few inductees of (individuals and teams) every year. The formal induction is done at a much publicized and well attended dinner. Later inside the high school Hall of Fame plaques are mounted in the hallways outside the gym to honor the inductees. - Honor the retired jersey numbers. The ones that this author knows about are all basketball players – they are #20 for Mike Grosso , #22 for Glenn Snape, and #23 for Eric Murdock. - This author will add to his web site a section that honors the past teams and star players. 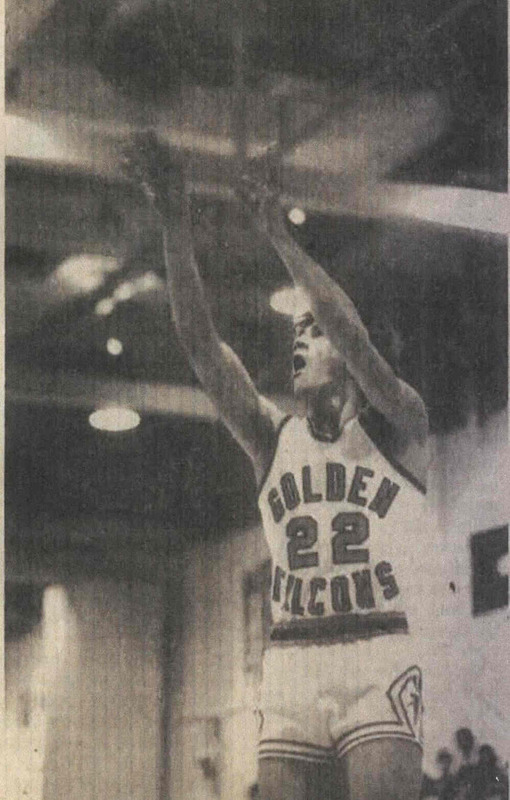 I encourage the past students of Bridgewater – Raritan High School to scan in their old scrapbooks and email me at bdoorly@verizon.net to let me know about a successful team or star player. This I realize will be a tremendous undertaking as there are three decades to cover – and for most of that time there were two schools. But someone has to start this project, so it will be my project for 2014.